Brush the halved avocados with olive oil, season with salt and pepper and squeeze fresh lime juice over the top. Place the avocado halves on the preheated grill. Place the lid on the grill. Grill the avocados for 7-8 minutes, until nice grill marks start to form. Meanwhile, in a medium saucepan, cook the pearl couscous according to package directions. In a small bowl mix together the honey lime vinaigrette ingredients and set aside. In a large bowl, mix together the couscous, corn, strawberries, and cilantro. Stir in the vinaigrette. 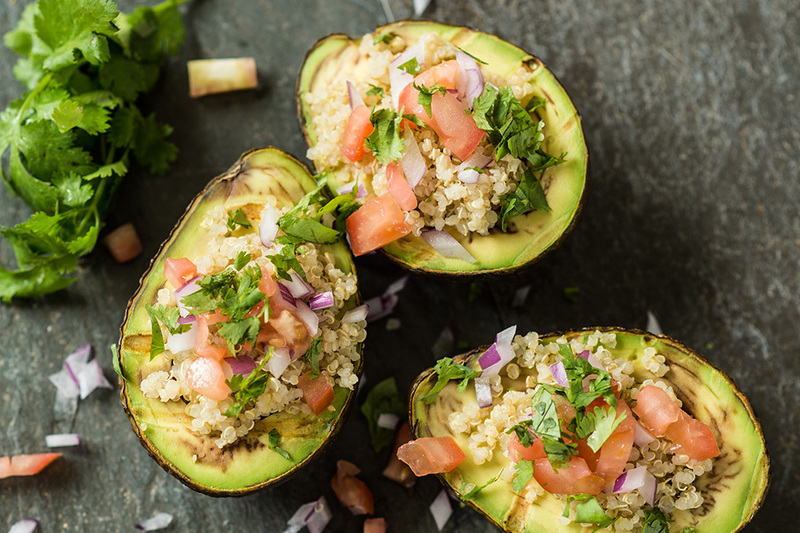 Remove the avocados from the grill and fill the cavity with the couscous mixture. Serve immediately.